You can use this tool on your wordpress website to check the security of your website by finding the vulnerability in your website. Over 75 million websites run on WordPress. which is now powers 26% of the Web. Remarkably enough thousands of WP sites are vulnerable to attacks and get hacked each day. You can lose all your data, it can cost thousands of dollars, or worse, attackers might use your WordPress to target your visitors. Bots scan the web automatically for weak websites and hack into them within seconds. If your WordPress is vulnerable, it will be only a matter of time before you run into trouble. That's why you should get started as soon as possible and check if your WordPress is prone to attack. The tool detects the wordpress version and try to find the vulnerabilities that are vulnerable on the version,the tools detects also the the plugins and themes installed on the website. 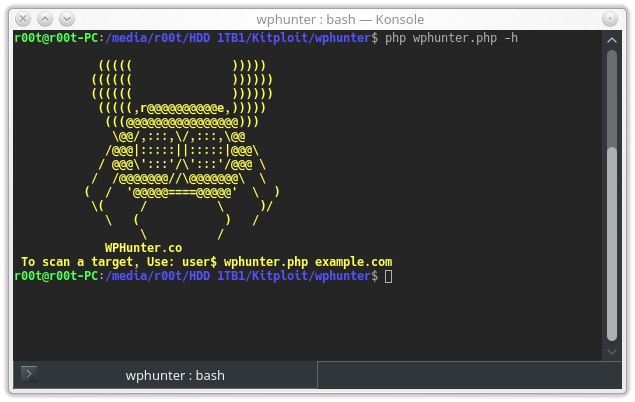 WPHunter can aslo find the backup files, path disclosure, and checks security headers. Scan for plugins and theme vulnerabilities, generate reports (PDF,HTML), Passowrd Brute Force.